The voyage from the Galapagos came to an end with a visit to the island of Isabela, the largest and most westerly of the archipelago. 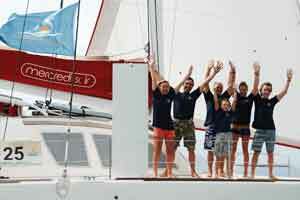 The yachts then set off across the Pacific Ocean for a 3000 mile voyage bound for the Marquesas. 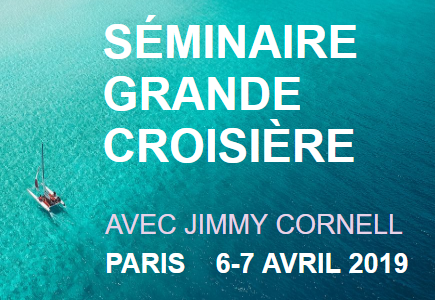 The fastest crossing was 14 days made by Moby, an Outremer 51, with Lufi of Guernsey, a Najad 361, the last to arrive after taking 25 days to complete the voyage. Light winds accompanied the fleet as they left the Galapagos, but this allowed them to set a direct course for their destination. The South Pacific trade winds set in not long after their departure even if these eased off at times towards the end of the voyage. 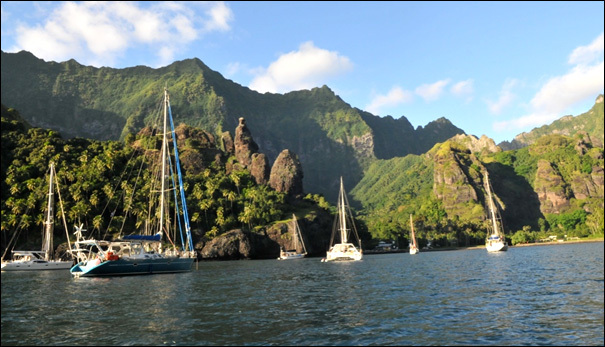 All the boats will now spend some time in the Marquesas, enjoying this magnificent archipelago with its stunning scenery and welcoming inhabitants, their first stopover in Polynesia.